Love hiking, even in MI's state parks. Out west though, that's serious stuff with the elevation and all. Had a buddy who got himself in a bit over his head on the Continental Divide trail. He was laying down exhausted and said suddenly there was an old grey bearded dude standing over him warning him about a Grizzly approaching nearby. When he got up a minute later, this guy was no where to be seen, so he felt he may have had a guarding angel encounter? Woah, now that is no bueno! You gotta be careful and smart when your hiking around these parts. Nature always makes the rules. That is so sad, yet preventable...very unfortunate.. The trend is real. 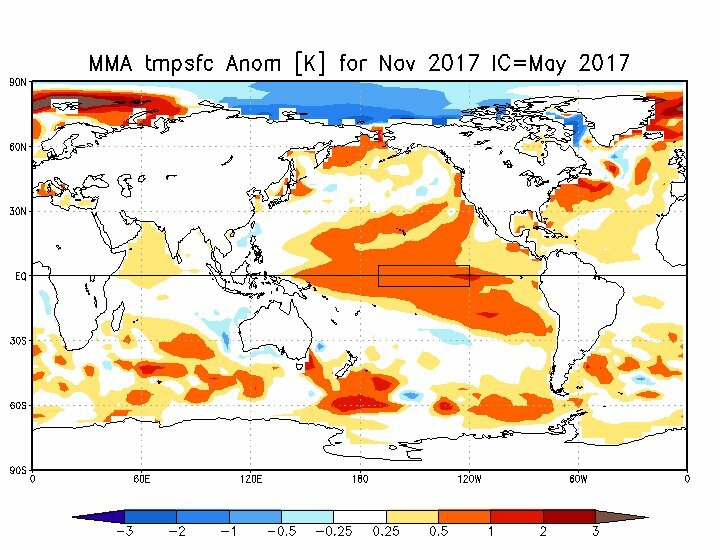 The JAMSTEC now is seeing a cooler trend in the Modiki Nino setting up this Summer into the Fall. Take a look. Autumn...interesting to note, the ring of warmth in the NE PAC is more noticeable from it's previous run. 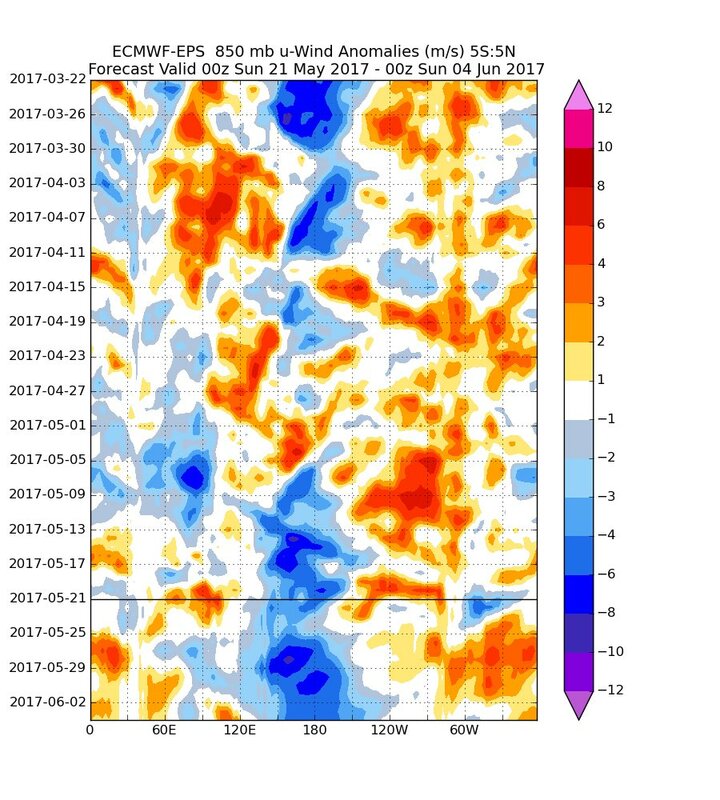 The ECMWF's May run is backing off the mod/strong Nino from last month and the one prior. Models are trending the other way as one would expect since we are now leaving the "shoulder" months of Spring when climate models tend to do a better job. At first glance, it looks like the ECMWF peaks the 3.4 region in mid/late summer and then tries to level off as we head into the Autumn. The warmest of waters continue to retrograde westward into ENSO 4 region as we head into the Autumn. Take a look at the maps below. The CFSv2 also has a very similar look to it. TBH, this is a very nice trend. Having the warmest waters shift west instead of east is great for winter enthusiasts next cold season! Interestingly, the latest IMME is showcasing a nearly perfect (IMO) SST signature during the month of November when the heart of the LRC is forming. Of note, the model is forecasting a very cold Arctic. 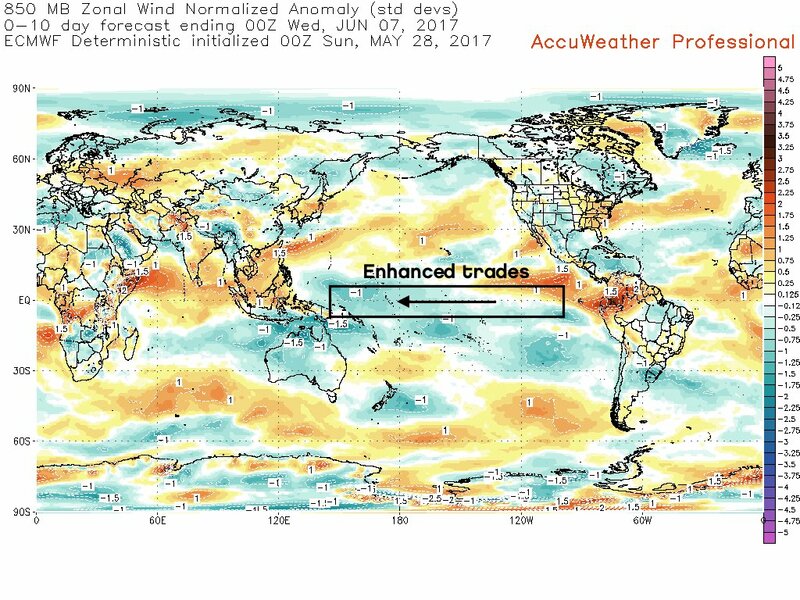 Mid-May Dynamic/Statistical Model runs average out to a weak NINO..
I,m no expert but isn't it a little early to count on verification? Don't we need to get within at least 3 months before these mean anything? Sub-surface waters are warming and any cooler anomalies are all but gone. El Nino is beginning to show case it's development??? 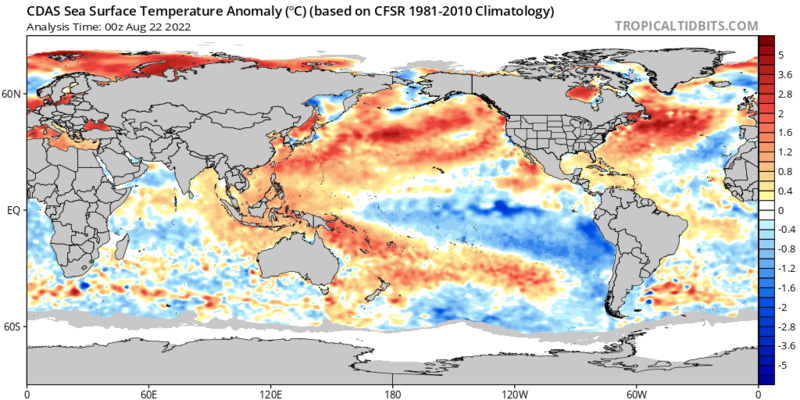 It'll take some time but sooner, rather than later, we should see warm waters take over. 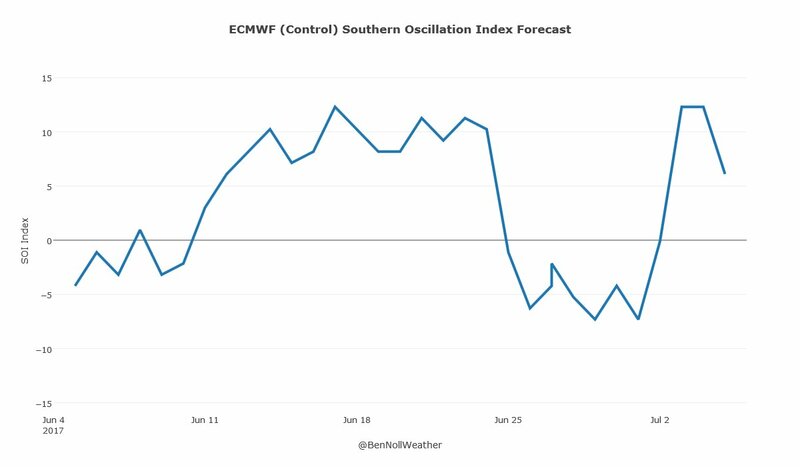 The +SOI has helped keep waters cooler in the ENSO 1.2 region but I'm hear the ECMWF's June forecast has a -SOI. Will there be a Summer El Nino as previously thought...or is Mother Nature doing a "head fake"...latest SOI rise and Euro run show un-favorable trade winds along the equatorial PAC over the next couple weeks. 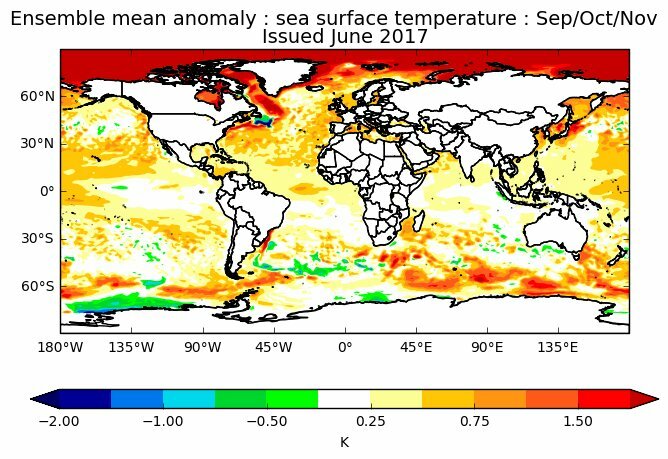 Subsurface SST anomalies not at all that impressive TBH...I remember back a few months ago that some of the models were showing El Nino conditions starting during the month of June. Not looking like it for the time being but things could change. 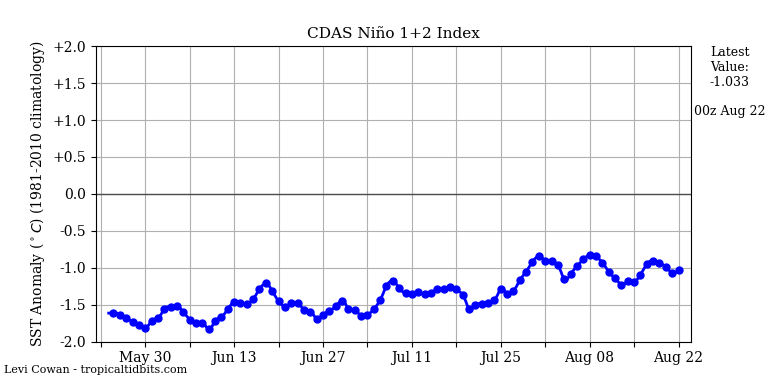 If conditions do not become much more favorable at the end of June or sooner, the Nino should fail. No kidding! 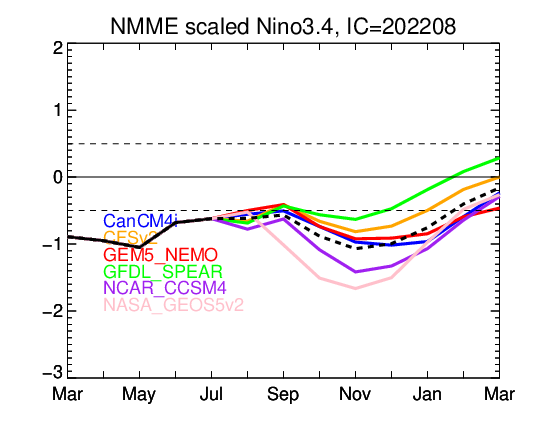 The trends in the CFSv2 are showing the ENSO 3.4 region not even reaching weak Nino status at all. June may be the warmest month through next Winter. Can you see the overall basin-wide PAC cooling trend??? Between this and your "Arctic Chill" it looks like Ice Age incoming! 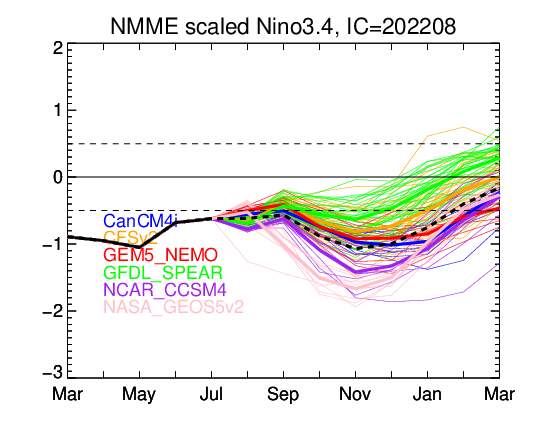 All the models busted real bad during the "shoulder" months of Mar/Apr touting a Strong Nino. What a flip I'd say??? So we're looking at a cool summer and a cold winter? Didn't we have a summer like this before that one super good winter a few years ago? I believe in 2013 we did. Also we had a similar summer in 2009 if I'm not mistaken. Edit. Did some quick checking and looks to me like 2009 would be the perfect match for this summer as far as temp anomalies are concerned. Yeah 09 and 13 were chilly. Great winters to follow. Boy, here is another model really backing off the Nino for this Summer. Latest CanSIPS run suggesting a meager Nino, if that??? 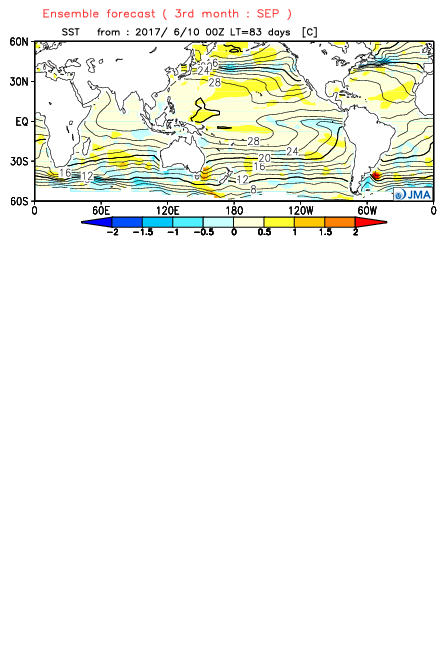 Recent CFSv2 weekly out in "lala" land for NDJ period is even showing hints of "blue" in the central PAC. Well, well, well...latest June NMME run is no longer showing an El Nino, but rather, an ENSO-Neutral La Nada during the course of this Summer/Autumn and next Winter???? Just see last Dec-March for how that could play out. Namely, other drivers will hold sway and it can go great, or crappy. Thus, not guaranteed. I never bought into a bounce-back to Nino winter. That being said, if this changed from 3 mos ago, what's to say it doesn't paint an entirely different picture 3 mos from today? Maybe it's "trending"? Really doubting the chances for an El Niño at this point. Also, odds of a repeat of the last 2 winters would be very slim in my opinion. The QBO flip and low solar will see to that. I'm really looking forward to this coming winter. Synopsis: ENSO-neutral is favored (50 to ~55% chance) through the Northern Hemisphere fall 2017. Trends are not favoring an El Nino at this points. During the crucial period when the new LRC develops, the latest October SST 1-month SST difference is incredible. #El Nino fail??? Well, I guess I made 2 very timely posts today. I'm curious what the JAMSTEC/EURO/JMA seasonal will be showing for this month. I think the public Euro comes out on the 15th and the JAMSTEC give or take a few days around then. JMA will be out next week Thursday. Tbh, we are due for a harsh winter...its been a while. FWIW...I miss seeing a full blown blizzard. I've always thought that warmth near Baja in the late autumn and winter months would be a good thing for my area but the last 2 years have proven it not to be. Maybe this year I will get to study if there really was any effect at all from the water Temps in that region and off cali on winter precipitation and temperatures here and points east. How could you not though, those maps are so amazing. Tbh, sometimes those type of people who forecast end up being correct, instead of the experts. Drum roll please.....latest JAMSTEC says, "No El Nino for the Summer"...since April, most modeling was insisting on a Strong to nearly borderline Super Nino but over the course of just 2 months the models are now collaborating an ENSO neutral Summer season in the equatorial PAC. 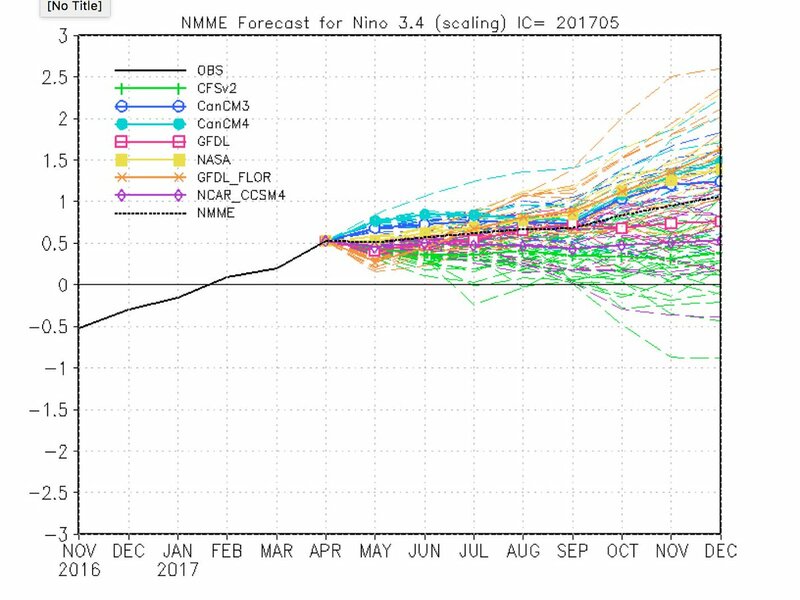 Maybe, just maybe we squeak out a weak Modiki Nino during next Winter...but that is looking less and less likely to get 3-months of .5C or higher. The JMA, along with all the other climate models, are all flipping much cooler in the PAC. In fact, the JMA is not showing any signs of warmer waters along the equatorial PAC. Instead, it's almost signaling a ENSO-Neutral look. There is still a lot of variability as to what happens next Fall/Winter but it's not looking very favorable for an El Nino at this stage of the game. Many more negative anomaly plumes showing up for the first time. EURO mean SST anomalies...the cooler waters near the Baja of Cali are intriguing. Subtropical connect?